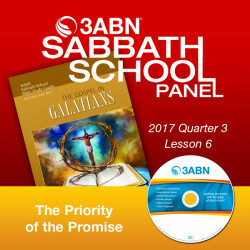 2017 Q3 - Lesson 6: "The Priority of the Promise"
Sometimes people make a promise, fully intending to keep it, but, later, don’t; others make a promise, knowing—as the sounds leave their mouths or the letters their fingers—it’s all a lie. Fortunately for us, God’s promises are of an entirely different order. God’s Word is sure and unchanging. “ ‘I have spoken, and I will bring it to pass; I have purposed, and I will do it,’ ” says the Lord (Isa. 46:11, ESV).